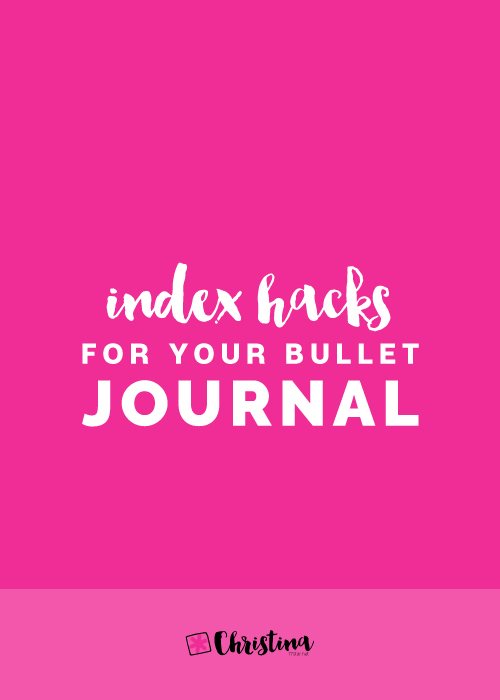 Around 2 years ago Helen from @journalwithpurpose had this amazing idea of creating a Traveling Bullet Journal. And when she announced it on Instagram, I was one of the first people to apply in order to take part in this cool project. 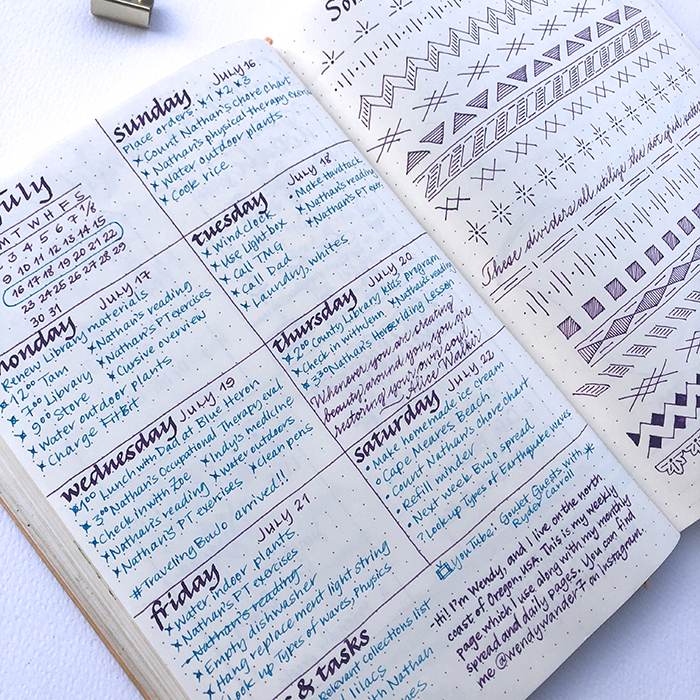 But, what is the Traveling Bullet Journal? 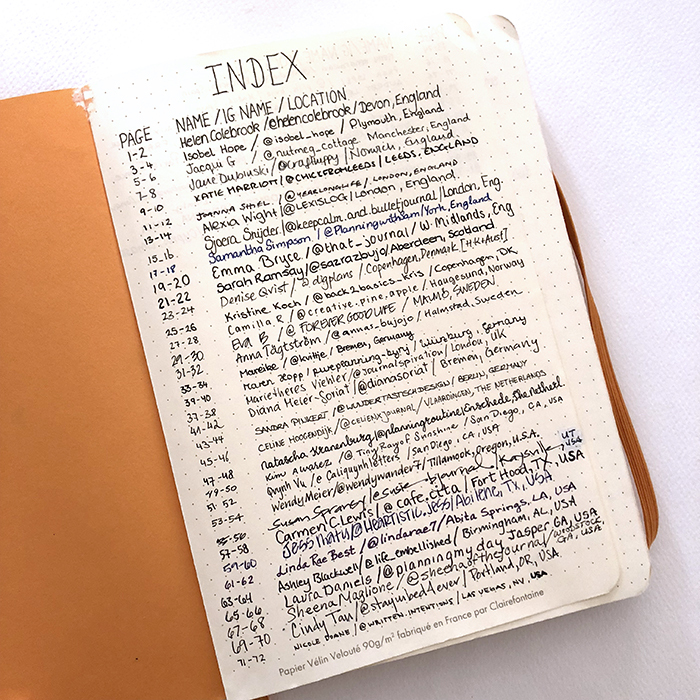 It is a bullet journal that travels around the world and every bullet journalist that takes part can create any type of spread they want in 2 of it's pages. It started it's journey on the 12th of September 2016 and it has been already in so many different countries - UK, Denmark, Norway, Sweden, Germany, the Netherlands, USA, Spain, France, Austria and Italy! There is a page on Helen's blog where you can see pictures of what all the previous bullet journalist have created in it's pages. When I was contacted by Helen to tell me that I was the next one to receive it, I was so so excited! I literally couldn't wait. And when I finally got it in the post, I spent so long going through all the pages and taking in all the details. 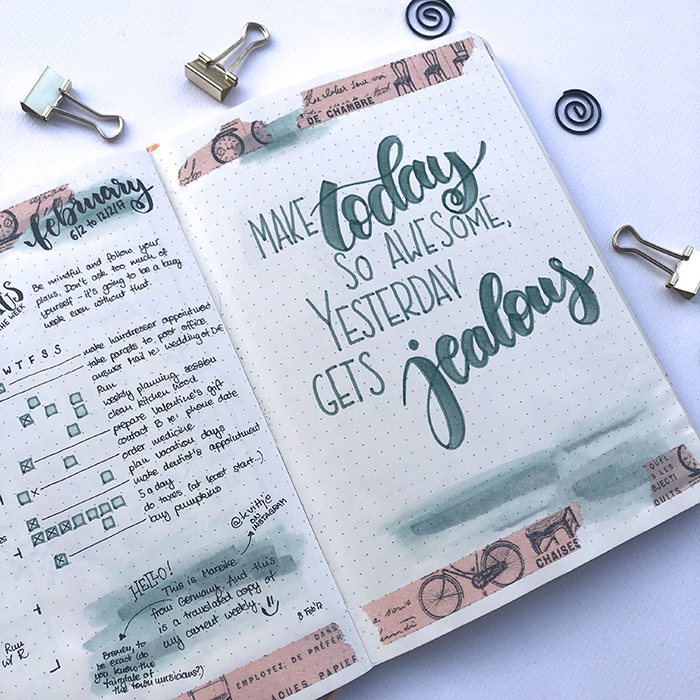 I thought it would be fun to share with you some of the pages that were created in the Traveling Bullet Journal so far, in order for you to see all the creativity and to get inspired. I won't deny that even though I was excited to take part in this project, when I decided to create my two-page spread in it I didn't know what to do! The possibilities were endless! Should I create a spread? Should I create something about the month we're in? Should I recreate a design / page that I'm known for? Should I do something new? I just couldn't decide.... In the end I decided to create the first page of the month - since it was going to be the first spread for August - and to create a new design. The theme I chose was 'Mason Jars and Fireflies' and I think it turned out pretty good! I only used 3 pastel colours - light blue, light yellow and grey. I wanted a fun and pretty clean design and I think it came out ok! 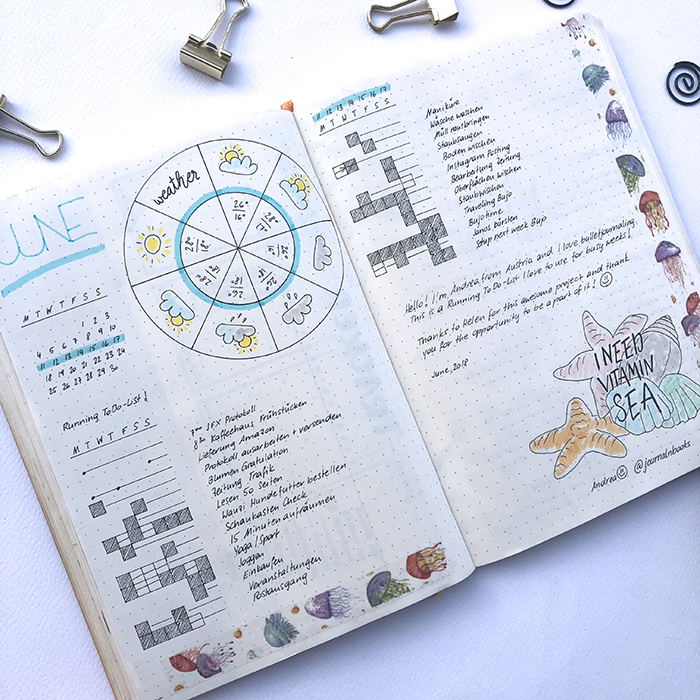 On the next page I created my Monthly Log. 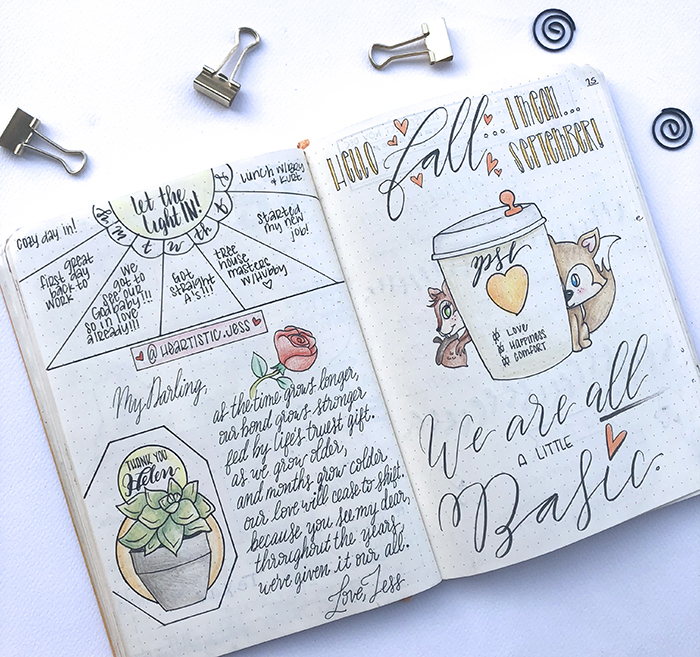 Again I continued the theme so that the two pages match and I added some of my personal details, as if I was using that bullet journal for myself. I also added a small note for Helen and everyone that takes part, saying a few things about me and how grateful I am to take part in this amazing project! 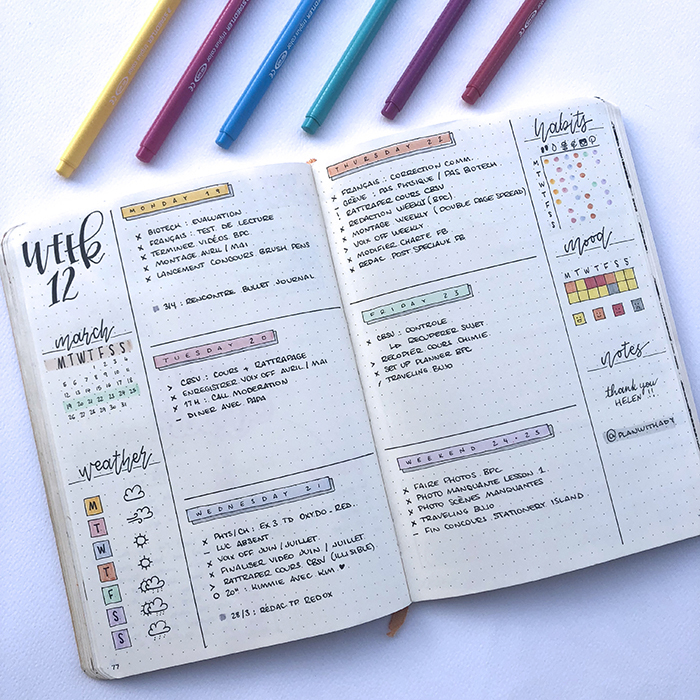 So, this is the spread I created in the Traveling Bullet Journal. Tomorrow I will be sending it to Dubai and the lovely Anam from @anam_t. Make sure to follow her to see what she'll create next. Also, if you want to take part in the Traveling Bullet Journal you can contact Helen. 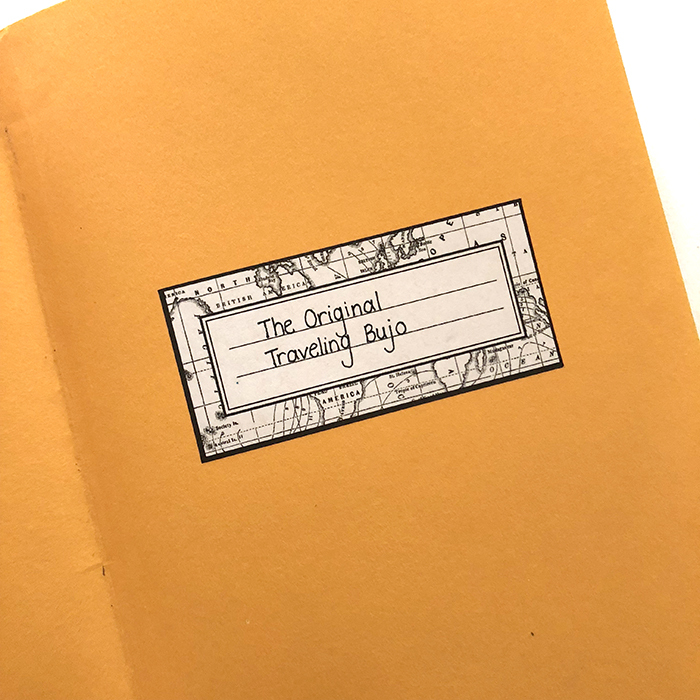 What do you think of the Traveling Bullet Journal? Would you take part in a project like this? Let me know in the comments below.